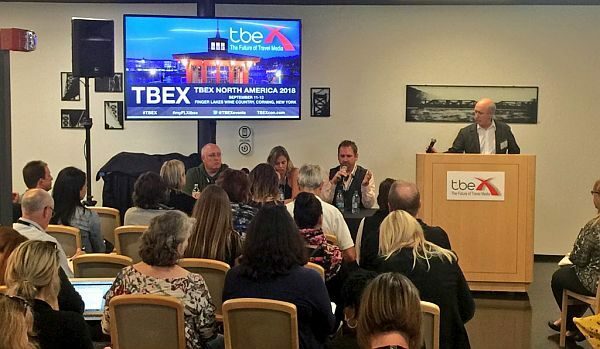 At the last TBEX North America conference I moderated a panel called, “What I Would Do If I Had to Start Over Today.” The idea was to bring together a few successful bloggers who have been doing this a long time and finding out what they would do differently now. If they had to completely start over, with no traffic and no following, how would they launch a new blog? I was the really ancient one, having launched The Cheapest Destinations Blog in 2003. I didn’t remember to hit the record button until after the intros, so follow the links above if you don’t know who these people are. Just know that they reach hundreds of thousands of real blog readers each month, plus that many and more through social media and newsletters. What you’ll hear first is them talking about what they did that worked in the past to get them past 10,000 unique visitors, then 50,000, and up from there. It’s a look at how you launched a successful blog a decade ago or more. Keep in mind that when many of us started, the platforms we’ve taken for granted now either didn’t exist or were still rolling out. The challenge was building traffic without the platforms–maybe the crutches–that we lean on to get the word out. So the next round of the discussion went over what used to work but doesn’t anymore. The tactics mentioned include Stumbleupon (gone), posting every day (there’s too much saturation), leaning on Facebook (organic reach has gone down a lot), and sharing widgets. What worked then and works now is doing it for love at first, not money. It’s easier to try to monetize your site earlier now, but that doesn’t mean you should. Build a real audience first. “There are a lot more motivations to get into this business now. Then we had to just make it up as we went along,” says Dave. If you lost everything and had to start over, how would you start from zero? She did a solo presentation on advanced e-mail targeting and delivery. Even if you didn’t attend TBEX, you can find her slides on the TBEX LinkedIn page. She also emphasized the importance of good site deseign, specifically making it easy for readers to find what they are looking for. She would also do guest posts for others right out of the gate, do video from the beginning, and build relationships with other bloggers and the industry. Social media would come later on. “Never say no to an interview,” Gary said, which all of us agreed on. You never know what’s going to happen from that interview later or how big that person is going to become. Listen to the rest of the session to hear the panelists talk about the power of couples who can share duties, creating a press/media page on your blog, mining message boards for article ideas, gaining authority, and how it baffles us that the PR industry pays no attention to our e-mail newsletters. Like this one! Hear the full panel discussion here. TBEX runs 2-3 events per year around the world for travel bloggers and the industry. The next one will be in Billings, Montana in September of 2019. Thanks to Deb from The Planet D for the photo at the top! That was such an interesting panel – thanks for the summary and audio Tim! Thanks! I wasn’t able to attend this panel. Now I wish I had. I’m not starting over but I still feel like a newbie. I’m three years in and I am just realizing broad social media is NOT the way to go. SEO, content, backlinks, guest posts,etc. are going to be far more productive.